JOHANNESBURG (AP) — A documentary film about rhino poaching won awards at film festivals in Europe and the United States this year. But since bringing “STROOP: journey into the rhino horn war ” home to South Africa, its makers have struggled for the same buzz in a country whose rhino population, the biggest in the world, has been under siege for a decade. “STROOP” has a deal for international distribution with Journeyman Pictures and several screenings are occurring in major South African cities, but no distributor is willing to risk a financial loss by putting it in cinemas. 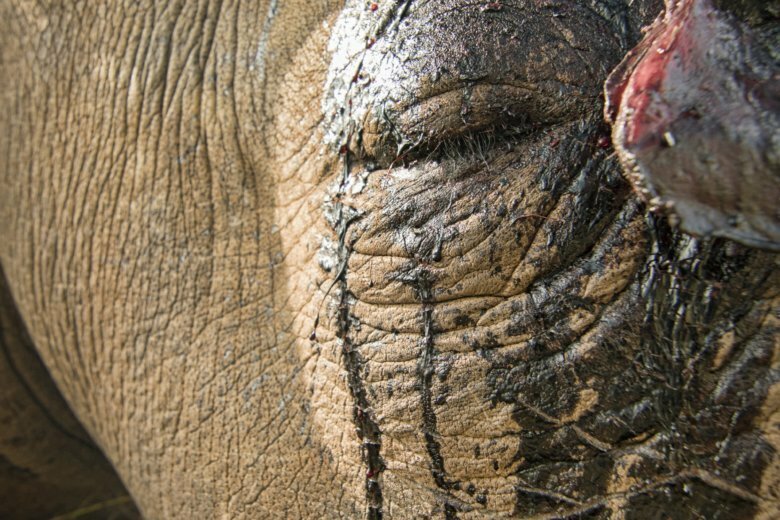 Documentaries about the slaughter of African wildlife can’t compete with popular entertainment — de Bod mentioned “The Grinch,” a Christmas film — and often subject audiences to disturbing images such as a rhino whose face has been mutilated by poachers. Reaching the right audience is also hard. China and some other Asian countries are key consumers of illegal wildlife products, but access is not easy for documentaries that directly or implicitly criticize Asian governments and might include secretly filmed video of animal parts on sale in countries such as Laos and Vietnam. “It is very much about not only just raising awareness, but hopefully bringing about much-needed change,” said Kate Brooks, the American director and producer of “The Last Animals ,” a documentary about the killing of African elephants for their ivory, the looming extinction of the northern white rhino, and rangers and others trying to save the iconic animals. The film was screened last year in Hong Kong as part of a campaign by the WildAid conservation group, and Brooks testified to lawmakers there shortly before the territory decided to phase out its legal ivory trade by 2021, similar to a ban already in effect in mainland China. “The Last Animals” was also shown in Taiwan, and to some EU and British lawmakers. This year, Britain announced what it said was one of the world’s toughest bans on ivory sales. The film’s website allows people in some countries, mainly in the West, who want full bans on the ivory trade to submit online appeals to their lawmakers, and the website’s designers plan similar campaigns for Asia and Africa. Brooks warned that “these animals don’t have a chance” as long as there are legal loopholes. “The Last Animals” will be broadcast on Wednesday in South Africa on AMC’s Sundance Channel and will be released by Netflix in Canada, Australia, Ireland and Britain on Dec. 24 as a global rollout continues, according to Brooks. International bans on trade in ivory and rhino horn have been in effect for decades, but the killing of elephants and rhinos has surged. Recent court rulings in South Africa opened the way to a domestic trade in rhino horn, despite the concern of many conservationists. Some Asian consumers believe it can cure illnesses, although there is no evidence that the horn, made of the same substance as human fingernails, has any medicinal value. Raul Gallego Abellan, a Spanish filmmaker, traveled to Mozambique’s Niassa National Reserve this year for the Global Wildlife Program, an initiative led by the World Bank. He patrolled with rangers trying to contain some of the worst elephant poaching on the continent. The four-part “Niassa Elephant Defenders ” video seeks to “bring light into dark places” by showing the rangers’ commitment, Gallego Abellan said. He said he hoped viewers would not just share the video on social media but instead “do something by themselves,” whether donating to an environmental cause or deciding not to buy a product linked to wildlife exploitation. The 2014 “Virunga ” documentary film raised awareness about threats to Virunga National Park in eastern Congo, but the park is currently closed to tourists because of security concerns and a militia killed a ranger there on Nov. 28. “Blood Lions ,” a 2015 documentary about a business dubbed “canned hunting” by critics, led a South African parliamentary committee to call for a review of captive lion breeding. “Gorillas in the Mist,” a 1988 movie based on the book by American primatologist Dian Fossey, successfully drew attention to the plight of mountain gorillas in Rwanda and generated tourism there. Since the onset of rhino poaching in South Africa a decade ago, the country has continued to grapple with other problems, including economic inequality and high crime. De Bod and director Susan Scott spent four years on STROOP, backed by grants, a crowd-funding initiative and their own savings. The film addresses divisions over how to help rhinos, giving a voice to owners who favor a legal horn trade.